Call center QA is crucial to your company’s success. If you aren’t checking for quality assurance, then mistakes are made, customers are not getting what they need, and revenue is down. Your company may have hundreds to thousands of customer calls a day. Offering quality service to every single customer is important, and customer satisfaction is higher when these calls are monitored. Call Center QA can also train your agents to provide quality service that is in line with your company objectives. It’s important to understand what makes a quality call. Every company should determine what performance behaviors are necessary. Providing training to call center agents can increase their understanding of the call objectives and provide options in ways to carry out those goals. Measuring and documenting progress also helps agents learn to provide quality calls. Sage Advantage has helped many call center businesses achieve a more fine-tuned success. They use quality monitoring and recording of calls, training the team in compliance, and surveys of clients and other tools to achieve the best customer service possible. Customer- The customer is number 1 and should be treated with respect and empathy. They also provide feedback that is appropriate for each customer based on their specific need(s). Caring- Sage Advantage has a commitment of caring for both their customers and the community. They want you and your customers 100% satisfied and will work to achieve that. Innovation- As your call center business grows and changes, Sage Advantage services will also adapt to this growth and use creative and inventive new ways of providing you and your clients with support. Integrity- They use clear communication and will also take responsibility for any issues that come up, as Sage Advantage holds themselves to some of the highest standards in the industry. They also realize the importance of keeping their promises. 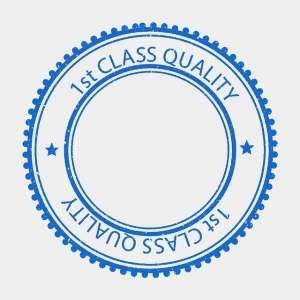 Quality- One advantage they have is a continually updating system of checks and measures in order to provide the highest level of service to each client. They use clear communication and take the time necessary to achieve professional results that will impact your business in the best ways possible. Teamwork- Their team works with yours to ensure optimum client satisfaction and your bottom line. Initiative- Work diligently on your needs in order to tackle any issues that may come up before they make a difference in your company. Sage Advantage in Scottsdale, Phoenix AZ offers these services without having to download bulky or time-consuming software. You can go online and request a free demonstration of the product and see how they can impact your call center business. Also check out Evaluate Quality, developed by Sage Advantage, and their cloud offerings.